You know how sometimes you’ll read a menu and every dish is stripped down to its elements, like someone trying to trap a good idea with a dying pen? Pumpkin Coconut Coriander; Broccoli Pecorino Chanterelles, etc. 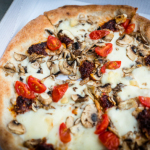 Sometimes I wish I could just write a blog post like that – Pizza Mario Rosebery Spin-off Go – and be done. In a way, that’s all I should scribble, because Pizza Mario in Surry Hills has long been one of these heavily namedropped places whenever someone is bringing up their contender for best pizza in Sydney. 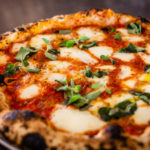 Its new restaurant – Da Mario in Rosebery – extends its geographical grip and reminds you of why its reputation is so rock-solid. There’s one item from Mario that I had ten years ago and have not stopped thinking about ever since. It’s a simple three-ingredient affair that gives you one – of many – good reasons to go the Rosebery establishment. 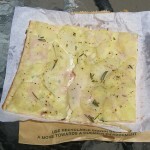 It’s the Patate ($16), which takes a sprinkling of sea salt and rosemary and pairs it with potato so thin and exquisitely sliced, it’s as slight and contoured as the summery ruffle of a dress. The base is barely bigger, but the crust still has a good amount of puff and a few cratered blistery burns from the oven. It’s my favourite thing on the menu – but because it’s so good, it also sabotages my ability to get to know what else is on offer; I only want to order this repeatedly. The first time I went to Da Mario, I smashed an entire patate pizza on my own, plus the very lovely Radicchio ($8) salad – vivid red leaves dressed in balsamic, and tossed through with little bursts of grapes and shards of parmigiano. 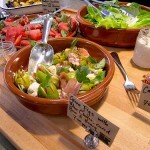 When I went again – with more lunch-sharing allies this time – I still couldn’t overlook the patate. 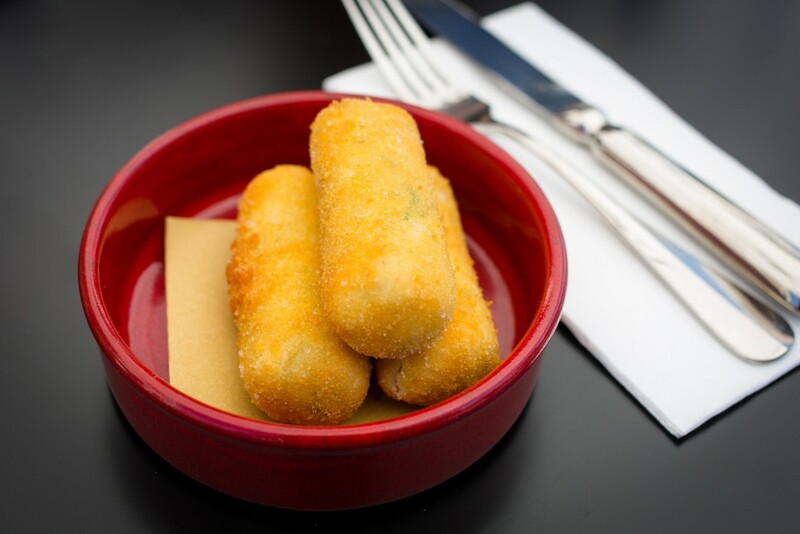 I also couldn’t skirt over the Crumbed and Fried Potato and Mozzarella Croquettes ($12), which sound like a monstrous carb bomb, but are so logic-defying in how delightfully light and airy they are. We also had the Margerita ‘Extra’ ($25), which gives you a bonus creamy pool of buffalo mozzarella alongside the wood-fired tomato and basil. This satiny meltdown of ingredients shifts the flavour intensity up a gear and reminds you how simple pairings can work so well. Will and Chris also highly rated the Capricciosa ($20) which piles savoury ruffles of ham with artichoke, mushroom caps and salty olives on top of tomato and cheese. 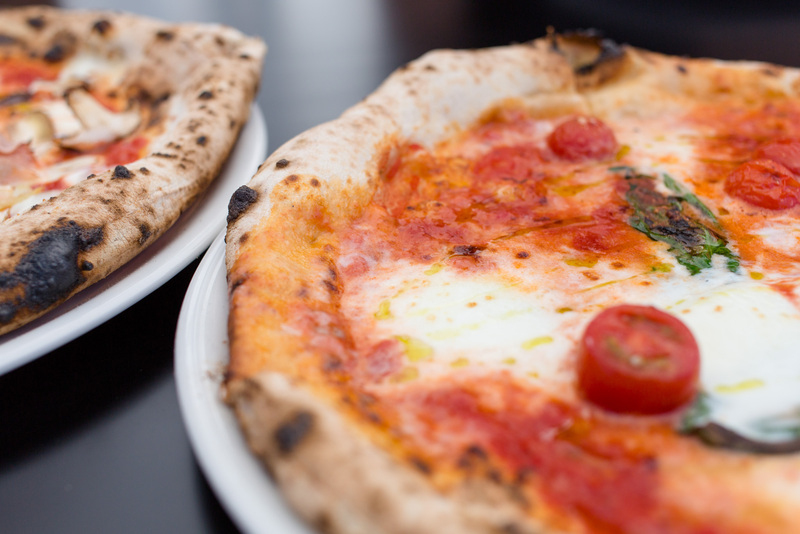 The site’s three-tonne pizza oven – so heavy that it needed to be air-lifted into Da Mario and slowly shifted into place – definitely gets a workout, and the Mario name is so synonymous with toppings and crusts, it’s easy to forget that you can have a meal here without picking up a single slice. 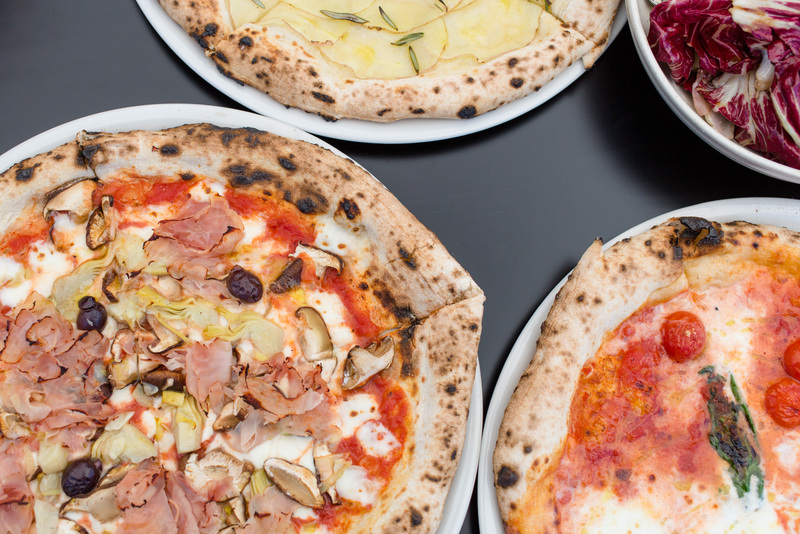 There’s a selection of antipasti, pasta, fried snacks, soup and even calzone, but this place makes a gold-standard case for ordering pizza first. 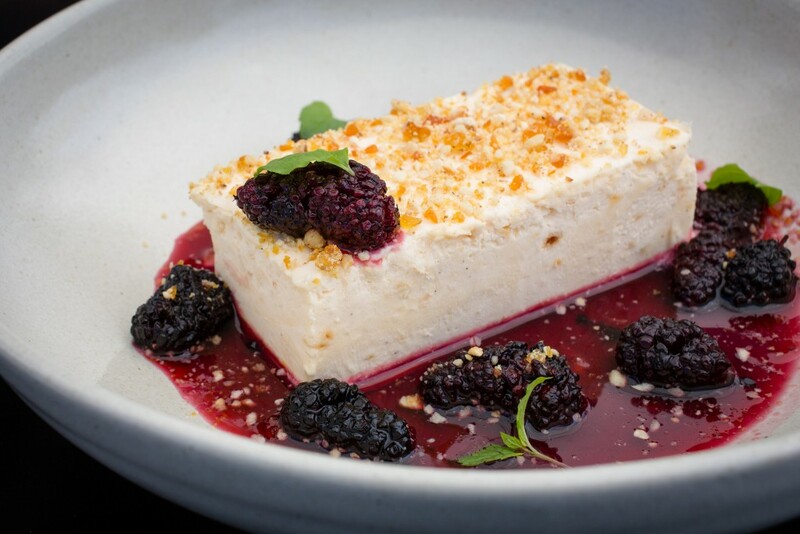 You can also acknowledge your sweet tooth with Tiramisu ($12), Panna Cotta with Pineapple Juice and Apple Crumble ($12), or a bracing Hazelnut Semifreddo ($12) – a cool creamy block crisped with nuts and trapped in an unapologetically sweet syrup of mulberries. 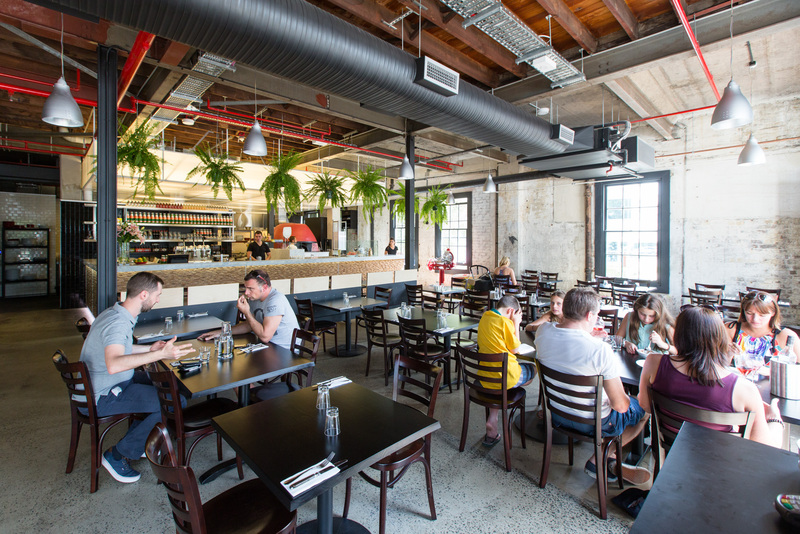 Da Mario doesn’t yet have its licence, so it’s currently open for lunch only. Once it gets the OK to serve wine, then the pizzeria will extend its business to dinnertimes, too. Having an excuse to enjoy a mealtime in this breezy industrial space – or its sun-friendly deck – is not a bad thing, though. 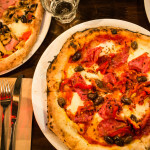 Da Mario, 36 Morley Avenue, Rosebery, NSW (02) 9669 2242. Follow Da Mario on Facebook and Instagram. The pizza is indeed delicious… The grilled provolone is also awesome!! Da Mario is now open for dinner.